Another exclusive club feature brought to you by footymad.net. This season represents one final chance of glory for many players. The likes of Laurent Blanc, Andreas Möller, Fernando Hierro and Tony Adams may never grace the big stage again after this season so all will be hoping to sign off their careers with one final flourish. Following a number of unique goalkeeping errors this season, Chelsea Mad decided to take a look at some of those moments that had these keepers wishing that the ground would open up and swallow them. 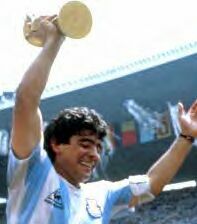 This week we take a look back at one of the greatest players of all time, Diego Maradona! Chelsea Mad takes an exclusive look into one of the biggest stories of the season in Serie A.